February 27, 2019 - "The performativity of an utterance, be it denotative or prescriptive, increases proportionally to the amount of information about its referent one has at one's disposal. Thus the growth of power, and its self-legitimation, are now taking the route of data storage and accessibility, and the operativity of information." February 26, 2019 - "For it appears in its most complete form, that of reversion, revealing that knowledge and power are simply two sides of the same question: who decides what knowledge is, and who knows what needs to be decided? In the computer age, the question of knowledge is now more than ever a question of government." February 11, 2019 - Code comments should answer why? February 11, 2019 - Very interesting article that provides a theoretical framework for programming expertise draws some helpful implications from it. February 5, 2019 - This article demonstrates the importance of studying and considering how we interpret the Bible by providing twelve guidelines for determining whether or not a text is normative to us today. February 4, 2019 - Fun site that which provides an interesting interface for creating works of art and mathematical demonstration. February 3, 2019 - A review of Charles Ruhl's book on Monosemy. February 1, 2019 - An official statement on hermeneutics from the International Council on Biblical Inerrancy in 1982. February 1, 2019 - An interview with Jeffrey Snover, the inventor of Powershell. January 30, 2019 - An analysis of the hermeneutics of the 'new perspective on Paul' and their relationship to traditional hermeneutics. January 30, 2019 - An analysis of the similarities and differences between modern linguistics and traditional, grammatical-historical hermeneutics. Modernity, Postmodernity - What in the world are they? January 28, 2019 - Sketches of the philosophical foundations of modernism and postmodernism as well as an analysis of how they relate to the Christian worldview. 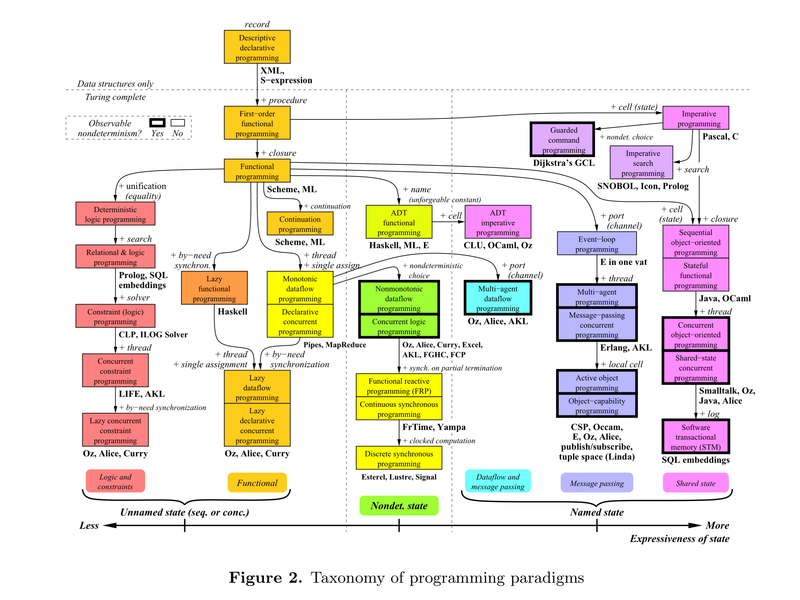 January 28, 2019 - In depth, technical introduction to programming paradigms by way of a taxonomy of 30 paradigms. January 28, 2019 - An introduction to postmodernism along with its effects on and implications for Evangelical Hermeneutics. January 26, 2019 - Meaninglessness does not come from being weary of pain, but... from being weary of pleasure. January 26, 2019 - Fascinating article critiquing the analogy of faith and arguing that it actually undermines the principle of "Sola Scriptura". January 26, 2019 - This article presents seven exegetical fallacies which are common to scholars and students alike. January 26, 2019 - This article addresses the misuse and proper use of the analogy of faith in hermeneutics cautioning against the abuse of this principle which would undermine a gramatico-historical interpretation. Is The Holy Spirit Necessary for Willpower? January 26, 2019 - A theological analysis of the mistaken idea that Holy Spirit increases willpower. Current Hermeneutical Trends: Toward Explanation or Obfuscation? January 25, 2019 - A call to clarify definitions of words like "Hermeneutics", "Meaning", and "Exegesis" for the sake of greater clarity. He also points out a shift in focus from the Bible as divinely inspired, understandable, and helpful to a skeptical cynicism. January 25, 2019 - An article arguing that, in leaving the grammatico-historical principles, the New Hermeneutic has made application part of the Hermeneutic process "thereby confusing definitions of hermeneutics, exegesis, meaning, and interpretation"
January 25, 2019 - A look at the historical and philosophical underpinnings of postmodern biblical interpretation. January 15, 2019 - This work examines Jonathan Edward's view of the trinity, especially focusing on his understanding of the person of the Holy Spirit. The author argues that "while his restatement of Augustinian orthodoxy served the church well during a time of great doctrinal heterodoxy, it created some problems of its own". January 12, 2019 - Tool for creating graded readers (especially for New Testament Greek). January 10, 2019 - It is truth that gives relevance to 'relevance' just as 'relevance' becomes irrelevant if it is not related to truth. January 2, 2019 - An introduction to a library for fingerprinting SSL clients. January 2, 2019 - In this RFC, Martin Thomson critiques Postel's maxim, a foundation principle for internet protocols, primarily by pointing out the long term costs of what Thomson calls the "Protocol Decay Hypothesis". December 29, 2018 - Fun site which takes a phrase in English and translates it back and forth between English and Japanese until a consistent (and often humorous) translation is found. December 24, 2018 - One of the founding essays for the philosophy of Pragmaticism. December 14, 2018 - An honest and soul-searching question about finding meaning and significance and making an impact in a deep and rich discipline. December 10, 2018 - Brief, but helpful discussion of Eastern Orthodoxy and Hank Hanegraaff. December 10, 2018 - A fascinating response to Todd Friel's attack on Eastern Orthodoxy. November 25, 2018 - A website that provides ancient Greek texts and useful analysis tools. November 24, 2018 - A discussion of the relationship between computers and procrastination. November 24, 2018 - Reading environment for pre-modern text collections in both their original languages and in translation. November 22, 2018 - The Greak New Testament in an easy-to-read format with a helpful search feature and lexicon. November 19, 2018 - Wonderful introduction to cristo-telic hermeneutics specifically as opposed to christo-centric hermenuetics. November 15, 2018 - "But when the kindness of God our Saviour and His love for mankind appeared, He saved us, not on the basis of deeds which we have done in righteousness, but according to His mercy, by the washing of regeneration and renewing by the Holy Spirit, whom He poured out upon us richly through Jesus Christ our Saviour, so that being justified by His grace we would be made heirs according to the hope of eternal life." November 15, 2018 - A fascinating article about what it would be like to live in a 'tell culture' where communication is more focused on creating common knowledge than making implicit, subliminal requests. November 14, 2018 - Very good overview and defense of the Biblical teaching that God is seeking His own glory. 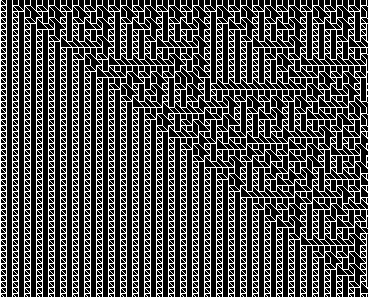 November 13, 2018 - Interactive cellular automata system. November 12, 2018 - Helpful crash-course on 4 major programming paradigms. November 12, 2018 - This paper discusses modularization as a mechanism for improving the flexibility and comprehensibility of a system while allowing the shortening of its development time. November 7, 2018 - Wonderful essay addressing some issues with the use of the English language as well as some important strategies for good writing. October 29, 2018 - Fascinating survey of theological understanding (with a really good data explorer). October 26, 2018 - Interesting article which presents a framework for thinking about the benefits and potential impacts of a notational system. October 12, 2018 - "The resurrection of Jesus our Lord entitles us to conceive of God's omnipotence not as mere unqualified power, but as power no less than infinite engaged in the work of man's salvation from sin." October 12, 2018 - A talk on the (real) dangers of IOT devices. October 2, 2018 - A list of inspiring projects that Chris Harrison has worked on. September 30, 2018 - "He that has doctrinal knowledge and speculation only, without affection, never is engaged in the business of religion." September 28, 2018 - An interesting/influential/important paper from the world of CS every weekday morning, as selected by Adrian Colyer. September 15, 2018 - "The business of religion is, from time to time, compared to those exercises, wherein men are wont to have their hearts and strength greatly exercised and engaged; such as running, wrestling, or agonizing for a great prize or crown, and fighting with strong enemies that seek our lives, and warring as those that by violence take a city or kingdom." September 9, 2018 - "That religion which God requires, and will accept, does not consist in weak, dull and lifeless wouldings, raising us but a little above a state of indifference: God, in his Word, greatly insists upon it, that we be in good earnest, fervent in spirit, and our hearts vigorously engaged in religion..."
August 20, 2018 - "As more and more effort and money were devoted to solving these problems, researchers developed not the expected solutions but a deep respect for their intractability. Problems that were once supposed to take a few years at most - machine translation, machine vision, machine locomotion - became entire fields. Although brute-force statistics has often provided improved performance, many take the view that in such cases the form approaches have not improved our understanding of the conceptual processes at work." August 19, 2018 - "Our mind is not a vessel to be filled but a fire to be kindled." August 17, 2018 - A fun site misusing image processing system to create fictitious, new creatures. August 16, 2018 - Beautiful, sublime music. August 15, 2018 - Fun (and challenging) geometry puzzles. August 4, 2018 - Sketches of an interactive arithmetic for programming. August 3, 2018 - "Computers are useless. They can only give you answers." August 1, 2018 - "A calendar is a moral document." July 25, 2018 - An introduction to the doctrine of the perspicuity (clarity) of scripture. July 19, 2018 - Based on Matthew 6:9-10, John MacArthur argues that prayer ought to be an act of worship that is focused on God rather than our selfish needs. July 17, 2018 - Bret Victor presents his case why math needs a new interface. July 15, 2018 - Thought-provoking article describing why 'interactive' software and a focus on 'interactivity' is misguided. The focus should be on the effective (this is defined in the article) display of information and on context-sensitive software that significantly reduces the need for interactivity. July 8, 2018 - "It appears to me that they who in proof of any assertion rely simply on the weight of authority, without adducing any arguments in support of it, act absurdly. I, on the contrary, wish to be allowed freely to question and freely to answer you without any sort of adulation, as well becomes those who are in search of truth"
July 5, 2018 - "Philosophy is written in this grand book the universe, which stands continually open to our gaze. But the book cannot be understood unless one first learns to comprehend the language and to read the alphabet in which it is composed. 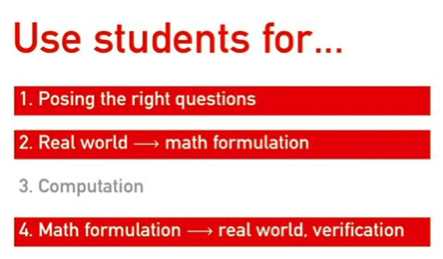 It is written in the language of mathematics, and its characters are triangles, circles, and other geometric figures, without which it is humanly impossible to understand a single word of it; without these, one wanders about in a dark labyrinth"
July 3, 2018 - Math education needs a paradigm shift away from forcing students to perform calculations (which computers can easily do) and towards teaching kids how to formulate questions, program tests, and validate results. July 2, 2018 - "To have brought humanity, more senseless than stones, to the dignity of angels through bare words, and faith alone, without any hard work, is indeed a rich and glorious mystery. It is just as if one were to take a dog, quite consumed with hunger and the mange, foul and loathsome to see, and not so much as able to move but lying passed out, and make him all at once into a human being and to display him upon the royal throne." June 27, 2018 - An introduction to a Lisp interpreter written in Lisp. June 25, 2018 - "Dear Sir, I am. Yours, G.K. Chesterton." June 23, 2018 - Some thoughts on how to start and continue a great career in the software industry. June 23, 2018 - Experience is built upon failure, yet you work in an environment that does not allow for failure. Budget for failure by designing and building toy systems that are similar to the systems you build at work in toolset but not in scope. June 10, 2018 - We have locked ourselves into a system where 'thought' and 'work' uses only a limit set of our innate abilities. To achieve a more humane representation of thought, we should change this. June 1, 2018 - "Adopt the pace of nature: her secret is patience." June 1, 2018 - "I find it wholesome to be alone the greater part of the time. To be in company, even with the best, is soon wearisome and dissipating. I love to be alone. I never found the companion that was so companionable as solitude." June 1, 2018 - We have locked ourselves in a box we call 'Programming' and need to get outside of it. May 15, 2018 - Creators should have guiding principle(s) that influence *how* they do their work. October 1, 2017 - "Books are the treasured wealth of the world and the fit inheritance of generations and nations." June 27, 2017 - A wonderful introduction to the Biblical and historical roots of the doctrine of the Trinity. June 1, 2017 - "In every walk with nature one receives far more than he seeks." April 1, 2016 - "Only by going alone in silence, without baggage, can one truly get into the heart of the wilderness. All other travel is mere dust and hotels and baggage and chatter."